Access your Milford Bank accounts anywhere, anytime! If you are not an online banking customer, you will need to sign up before using these features. If you need assistance, please contact customerservice@milfordbank.com or call 203-783-5700. 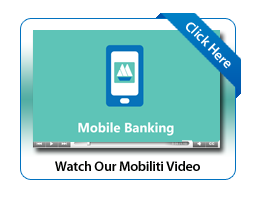 Download the mobile banking app for your iPhone or Android to access your accounts and perform certain functions from within the application. Log into online banking, register for Mobile Banking by going to the “Options” tab, and clicking the “Mobile Banking Profile” link. Select Mobile App as one of the services you would like to use. Download The Milford Bank’s Mobile Banking App. Log in using your Online Banking credentials. Download the tablet banking app for your iPad, Android, or Amazon Tablet to access your accounts and perform certain functions from within the application. Select Tablet App as one of the services you would like to use. Download The Milford Bank’s Tablet Banking App. Log in using your Online Banking credentials. Access our mobile-friendly website through your mobile phone’s internet browser. Log into online banking the same way you would at a computer. Log into online banking, register your mobile phone number by going to the “Options” tab, and clicking the “Mobile Banking” link. Select Mobile Browser as one of the services you would like to use. A link to the mobile site will be sent to you via text message. Select Text Banking as one of the services you would like to use. Choose which accounts you would like to access via Text Banking. Check balances for accounts registered for Mobile Banking. Check most recently posted transactions of the account you specify with the account nickname. For example, if you registered your primary checking account under the nickname CHK1, you would text: TRAN CHK1. Find ATMs, Branches, or both near a specified address. For more information about Mobile Banking Keywords. For additional help, please call customer service: (203)783-5700. *Data and Messaging rates may apply. To use the text banking service, your mobile phone must be capable of sending and receiving text messages to and from a short code. Most mobile phones have this capability, so your phone is most likely compatible with our text banking service. Please note that some mobile service carriers charge for texting. Contact your cell phone provider for more information regarding your text messaging plan.